The short story should be no more than 900 words in length (including articles of speech); 800 to 900 words will make your paper competitive. One of the last things a high school student wants to do is write an essay. It takes more effort than a multiple choice exam and the odds of doing it correctly are lower than that of a True/False quiz. It requires some thought and creativity, but the payoff is incredible. The students are also eligible for up to $16,000 in college scholarships and the opportunity to serve on the national Youth Leadership Council. Tennessee sends the largest group each year. This year, 130 students from across the state were selected to attend along with 60 teachers and cooperative employees. About 1,700 students from across the nation were part of the Tour this year. 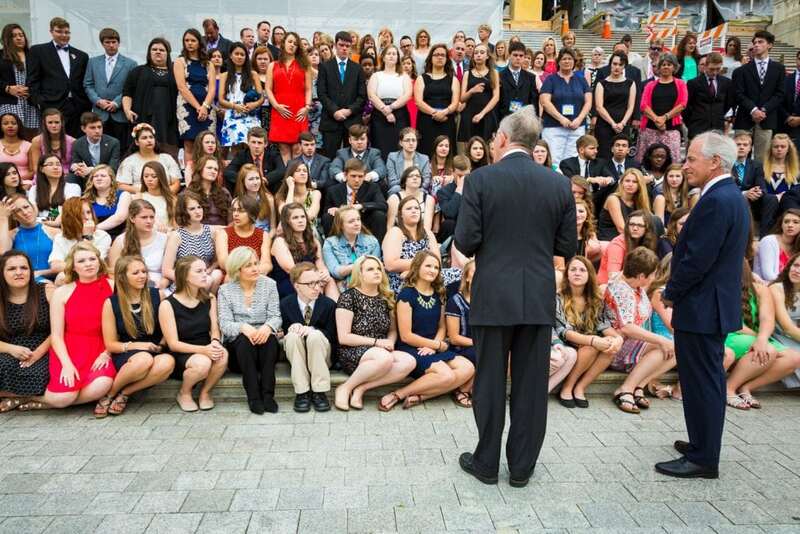 For the Washington Youth Tour to be as successful as it has been, it takes a commitment from our local cooperative boards and the dedicated cooperative employees that spend a long, tiring week chaperoning those students. With almost $3 billion invested in our statewide utility infrastructure, we spend millions of dollars each year maintaining and improving the electric grid. The thousands spent to send high school students to Washington pales in comparison. As an investment, it isn’t something that provides an immediate payoff. However, as a long-term investment, nothing we do provides a lifetime of positive returns as does this investment in our future. The results – years later – are tangible. Former Youth Tour participants turn up everywhere. We can’t track of all of them, but some are teachers, legislators or electric utility executives. You’ve likely heard of one former Youth Tour participant from Alabama, who is the current CEO of Apple – Tim Cook.